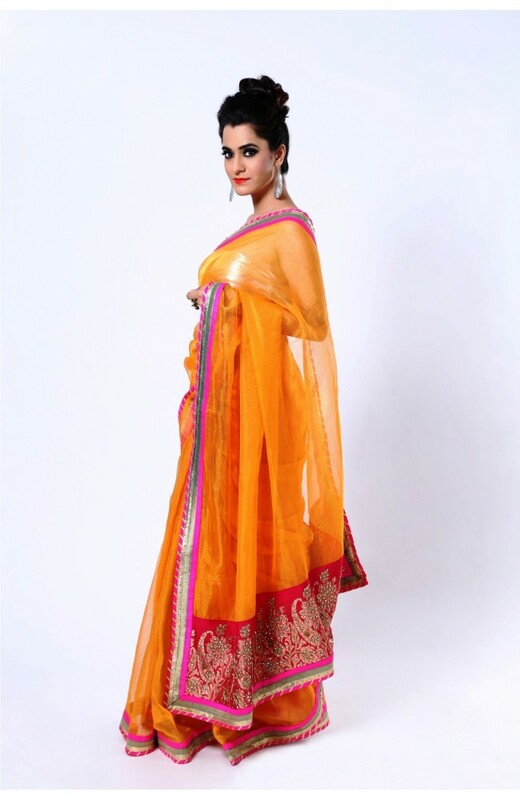 This unsual saree in kota tissue has a beautiful pallu of banarsi brocade highlighted with kundan work and kutdana. 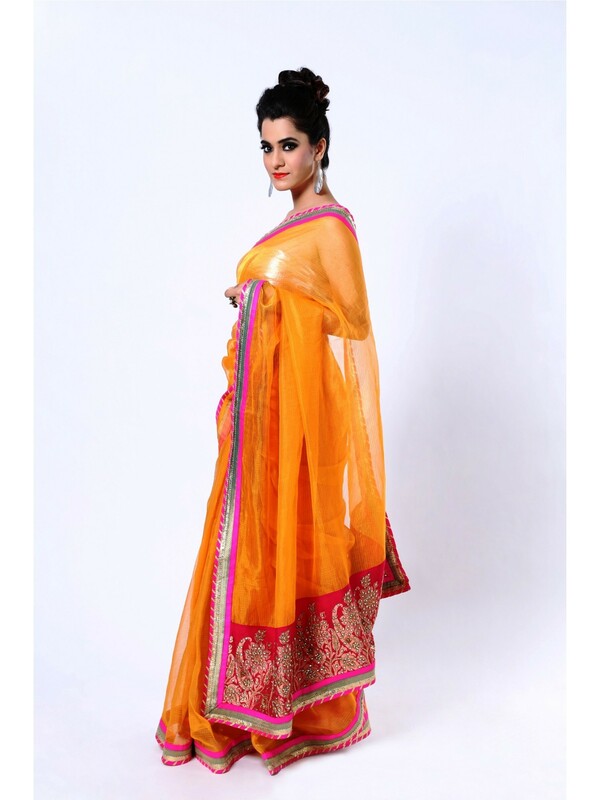 It has a classy border with a contrast pink patch and green brocade, gota and pink magzi. It comes with a contrast pink poly dupian blouse.